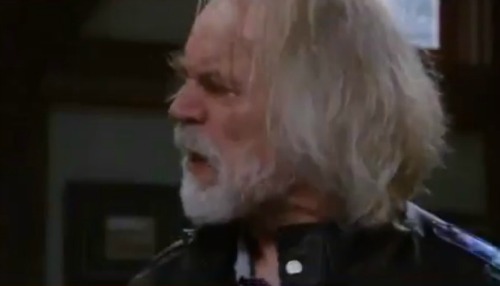 General Hospital (GH) spoilers for Wednesday, January 24, tease that Faison (Anders Hove) will blow his top. Lulu (Emme Rylan) will flinch as Faison rants about her trying to outwit him. He’ll gesture toward Dr. Obrecht (Kathleen Gati) and urge her to look how that turned out. Faison will really be fuming! Lulu will do her best to calm him down, but that may be an impossible task. While Lulu tries to talk her way out of trouble, Finn (Michael Easton) will face a tricky situation of his own. 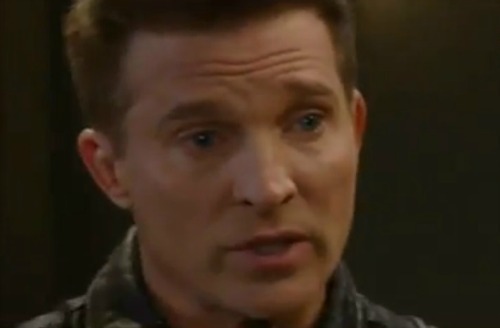 General Hospital spoilers say Felicia (Kristina Wagner) will sit down with Finn for a chat. She’ll catch him off guard with a blunt question. Felicia will ask when Finn’s going to tell Anna (Finola Hughes) that he loves her. Finn might downplay their connection and suggest that they’re both on different paths now. Of course, Felicia won’t buy that. She senses that there’s a strong bond between Anna and Finn. Felicia will hope she can make Finn see that they’re meant to be together. At GH, Maxie (Kirsten Storms) will show up for her ultrasound appointment. General Hospital spoilers say Kim (Tamara Braun) will look perplexed as she checks everything out. Maxie will quickly pipe up. She’ll want to know what’s wrong with the baby. It’s possible Kim will find some issue that will need to be monitored. Then again, there’s no reason to jump straight to negativity. Kim might realize Maxie’s expecting twins. We should at least keep that hope alive. No one wants the health of Maxie’s little one to be in jeopardy! Other General Hospital spoilers say Anna (Finola Hughes) will have another meeting with Sonny (Maurice Benard). When he asks what he can do for her, Anna will note that she needs a favor. Perhaps Anna will point Sonny in Peter’s (Wes Ramsey) direction. She suspects Peter wasn’t being honest about his reasons for refusing to help her. This could be a real break in the case for Sonny, Jason (Steve Burton) and Spinelli (Bradford Anderson). If Anna asks Sonny to investigate Peter, it could lead to big news. Across town, Jason will declare that they need Faison’s son. They could be on the verge of getting him thanks to Anna’s tip. Peter appears to be just the man they’re looking for! It sounds like some excitement’s coming up in Port Charles. We’ll give you updates as other GH details emerge. Stay tuned to the ABC soap and don’t forget to check CDL often for the latest General Hospital spoilers, updates and news.